Warid users can check Warid SMS Packages 2019, Daily, Weekly, Monthly Subscription Code through this page. Warid is providing the cheapest and best SMS packages to its customers. Now Warid customer can choose different SMS packages on the daily, weekly and monthly basis. So if you are using Warid network and want to choose the best SMS package of Warid LTE then you are suggested that to read this post and found the best SMS packages according to your need. There are huge benefits of subscribing to any SMS Package because if you will not subscribe to any package then on every SMS, standard charges will be applied but if you have subscribed to any of the packages then you will able to send thousands of free messages without losing balance. 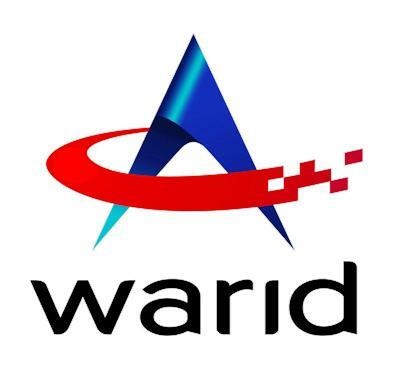 Warid is one of the five telecommunication services provider companies in Pakistan. This company has recently merged with Pakistan’s No 1 Network Jazz. It is offering the cheapest SMS packages to its customers so that they can send thousands of SMS to their beloved ones without fear of losing balance. Now Warid users can subscribe to Warid Daily SMS Package 2019 to enjoy SMS service on daily basis. All Warid users can check the package details as well as the subscription charges which are given to this website in below side. So check the packages detail. Warid Weekly SMS Packages 2019 are the best Warid SMS Packages 2019 in Pakistan. Now you can subscribe to weekly SMS package in which you will get the SMS for 7 days. The subscription code and subscription charges detail are given to the below side. Warid is also offering Warid Monthly SMS Package 2019 to its customers. Through this package, you will get 12,000 SMS to all network along with 5000 MB Internet for Whatsapp. Now you can use both, SMS and Whatsapp package by subscribing a single package. The Package details are as follow. So this is all about Warid SMS Packages 2019 Daily, Weekly, Monthly. Hope you are all have that what you are searching for. If you have any query you’re FAQs about Warid SMS Packages, you can concern us via comment section below of this passage.